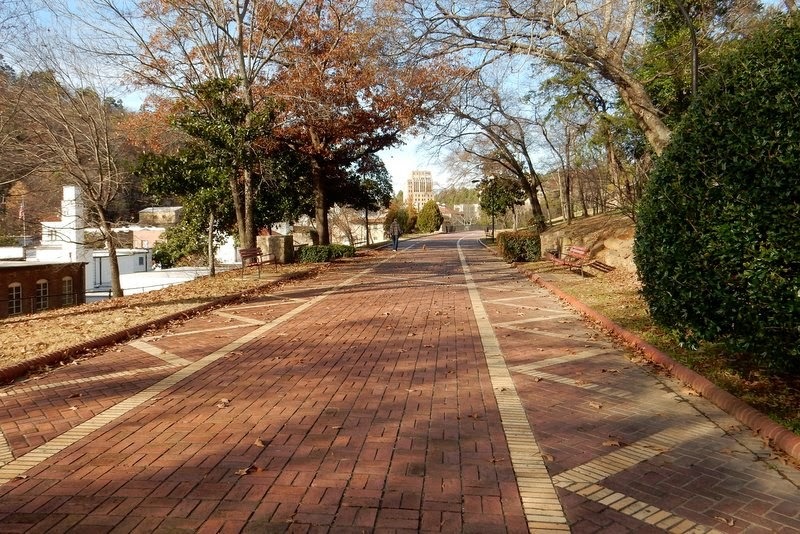 Hot Springs National Park is the country’s smallest national park and is located in the middle of a small city that grew up around it. The main attraction is water. This water is in the form of 47 hot springs that have been attracting health-seekers for hundreds of years. People still come to Hot Springs to drink the water and to immerse themselves in its baths. 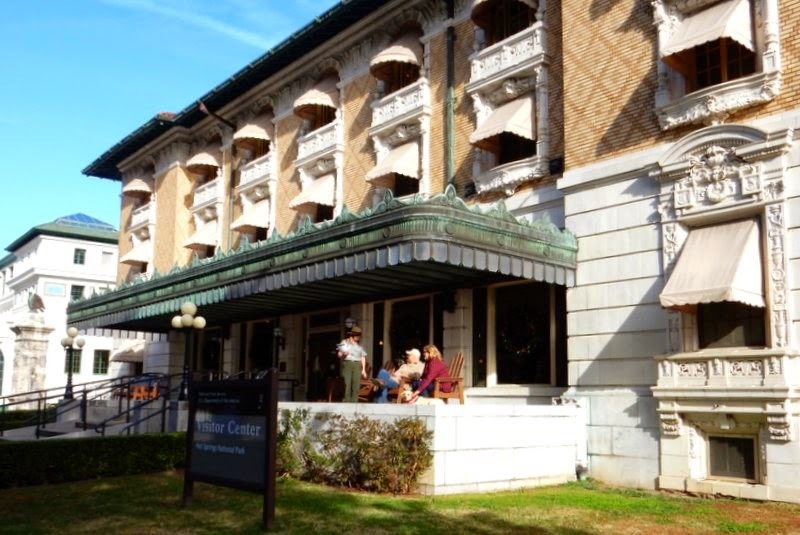 Fordyce Bathhouse was built in 1915 and was touted as the best in Hot Springs. 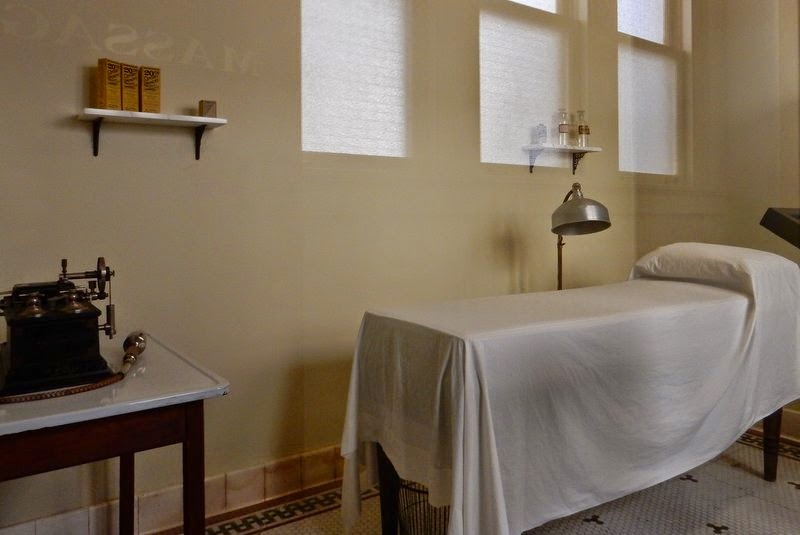 Today, the bathhouse has been restored to its original glory as the park’s visitor center and museum. We took a self-guided tour through the Fordyce and saw the latest furniture and equipment of the era. 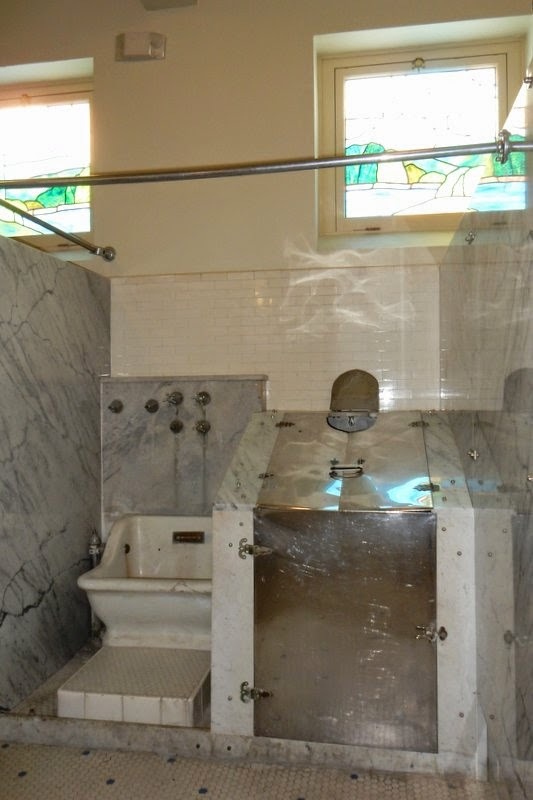 The deep soaking tubs looked inviting, but the steam cabinets and needle showers resembled torture devices. 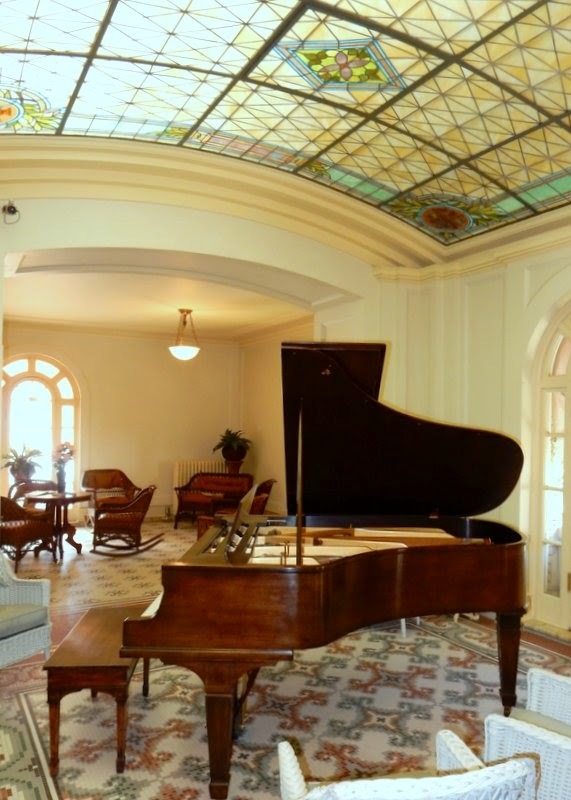 Beautiful tile work and stained glass, however, were much kinder on the eyes in the music room and lounges. 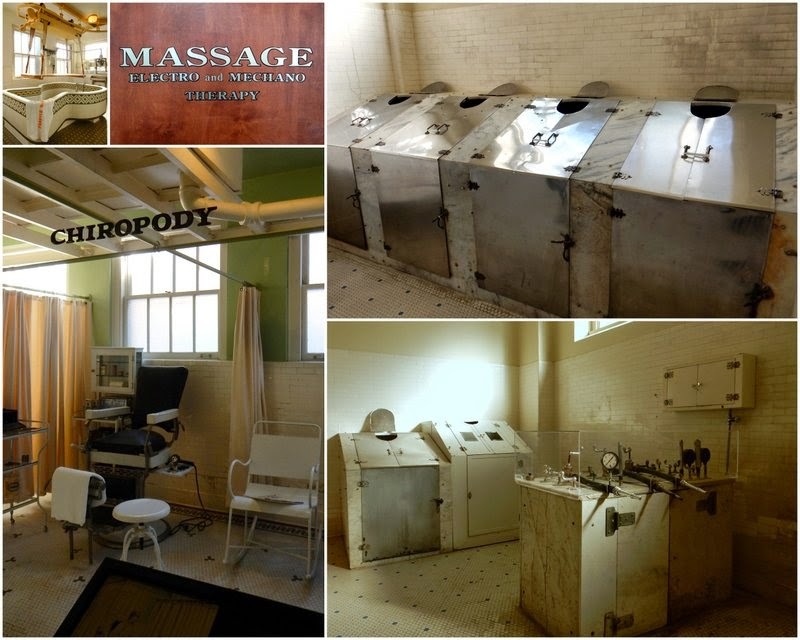 The tour was fascinating, and I marveled at what people used to go through in their efforts to feel and look better. If they could do it, so could we. Tim and I decided to sample what earlier bathers had enjoyed at a bathhouse that has been in continuous use since 1912. 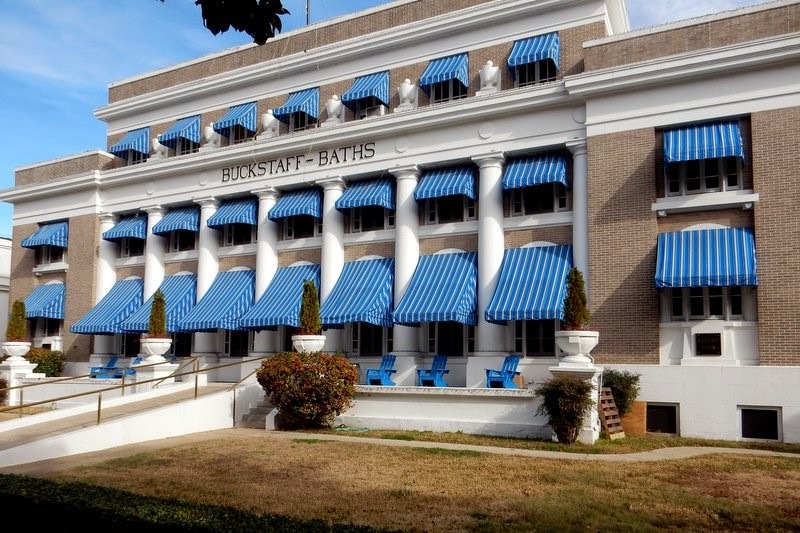 The Buckstaff is the only bathhouse in Hot Springs National Park that provides the traditional therapeutic bathing package. With a bit of trepidation after remembering the type of equipment we had just seen on the tour, we turned ourselves over for a unique experience. Men’s and women’s facilities are separate at Buckstaff Baths. Maybe because bathers are naked, except for a bed sheet, the entire time! Did I mention that I would be naked? That fact alone was enough to scare me away! But I shed my clothes, and my dignity, and tried not to be too self-conscious. 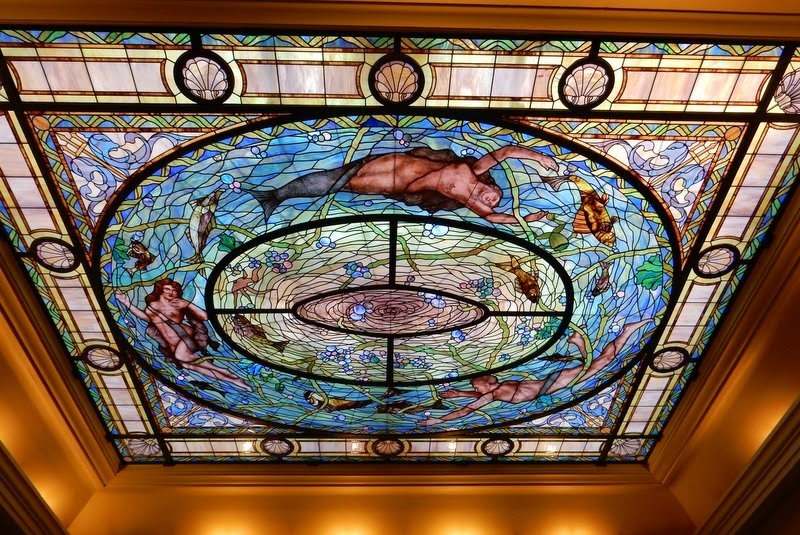 Since cameras and phones are not permitted in the bath halls (thank goodness), I’ll try to illustrate the experience with examples from the Fordyce. First up was a bath in a private tub filled with the hot thermal mineral water. A scary-looking contraption immersed in the water provided a whirlpool-like effect, and I soaked for 20 minutes. My personal bath attendant then returned and scrubbed my legs, arms and backs with a loofa mitt. Don’t forget, I was naked. That part of the process was a bit uncomfortable, but I’m sure they’ve seen it all. Next was the steam or vapor cabinet, the oddest part of the experience. Here I sat in a metal cabinet with my head sticking out. I’ve never been too fond of steam rooms, and I was happy when I was released after five minutes. The sitz bath was next. 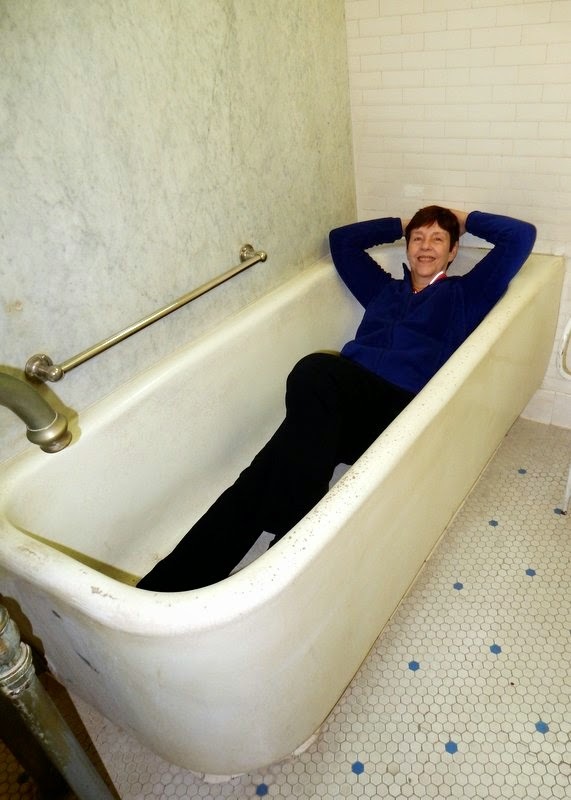 I had to lower myself backwards into a sitting tub filled with very hot water and pray that I would be able to get out afterwards. I learned that a sitz bath is supposed to be good for hemorrhoids and lower back pain. Whatever! My favorite part followed. I was led to a table where my attendant wrapped me in hot packs. I asked if she could move one of the hot packs down around my hips, and she offered to add another one instead. How divine! There’s a lot to be said for heat therapy. A two-minute cool-down in a needle shower ended the bathing part of the treatment. Oddly enough, that really did feel good. Throughout the process, my attendant handed me cups of the thermal water to drink. It was a bit odd to drink the hot water, which was odorless, tasteless and colorless, but it was surprisingly refreshing. The package ended with a full-body Swedish-style massage and a moisturizing paraffin dip for my hands. The entire process was so much more relaxing that I had expected. As my friends know, I’m not one to frequent spas or indulge in massages. For some reason, it’s just not my thing. But, I’m so glad that I tried this, even if it was a bit outside my comfort zone. Hot Springs also offers more modern-type spas, but I think this is the way to go if you can only do one. 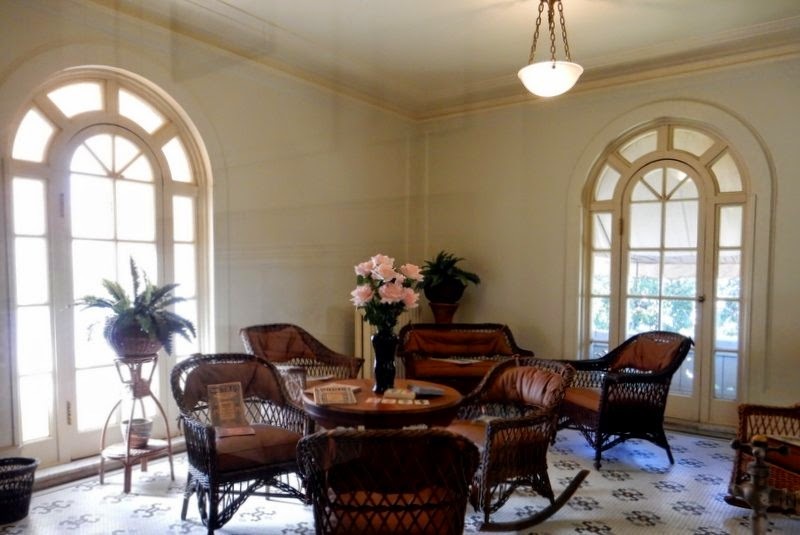 Several of the bathhouses are awaiting restoration and new uses, but others have been restored. The Superior Bathhouse now houses a brewery and distillery, and that’s where Tim and I stopped for a bite to eat. Lunch was quite tasty. 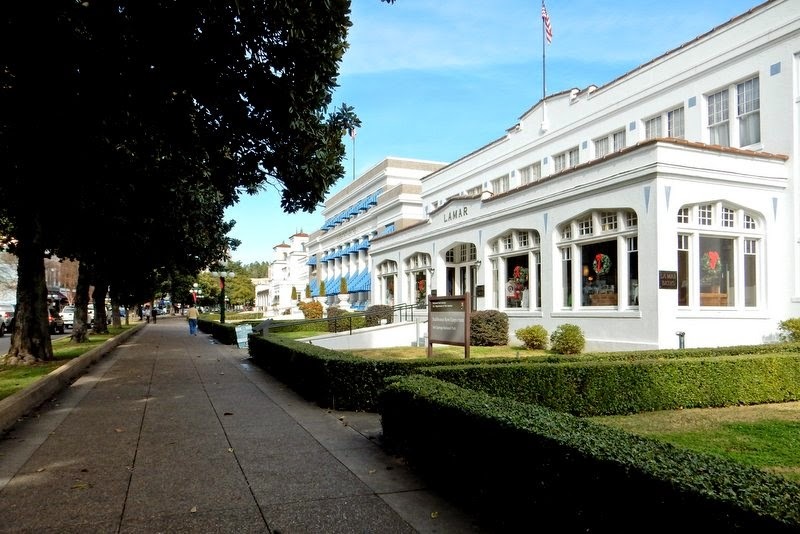 Before returning to the campground, we strolled along Bathhouse Row and visited the park store located within the Lamar Bathhouse. 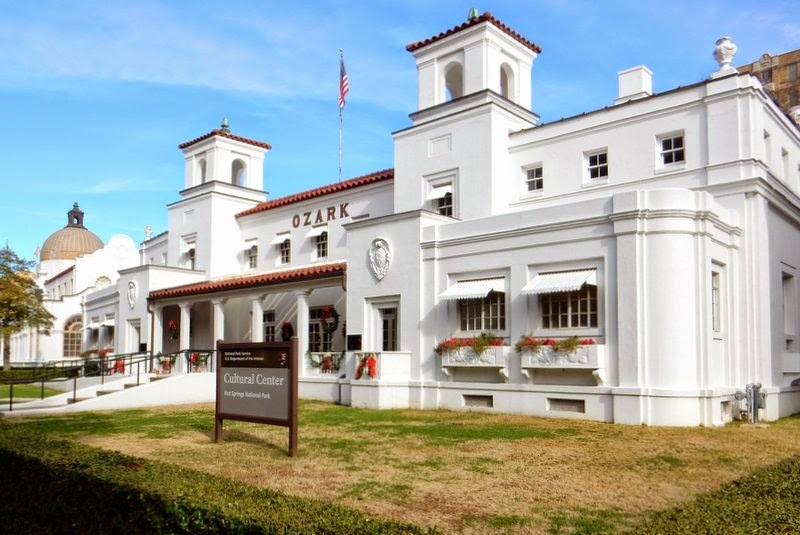 On a whim we decided to stop at the Ozark Bathhouse, which now houses a cultural center. The building is a venue for all sorts of activities and currently features several art exhibits. As we wandered from gallery to gallery, Tim noted that works of art produced as a part of the park’s Artist-in-Residence program were on display. He was very impressed with the venue and the fact that this artwork was actually available for the public to view. At Rocky Mountain National Park, Tim worked with the Artist-in-Residence program, and he housed all of the pieces in the museum storage facility that he managed. Unfortunately, like at most parks, not many people were able to enjoy the artwork. When I stopped by the front desk to request permission to photograph the art, a woman in the lobby said that I was welcome to do so. We struck up a conversation with her and complemented her on the facility. 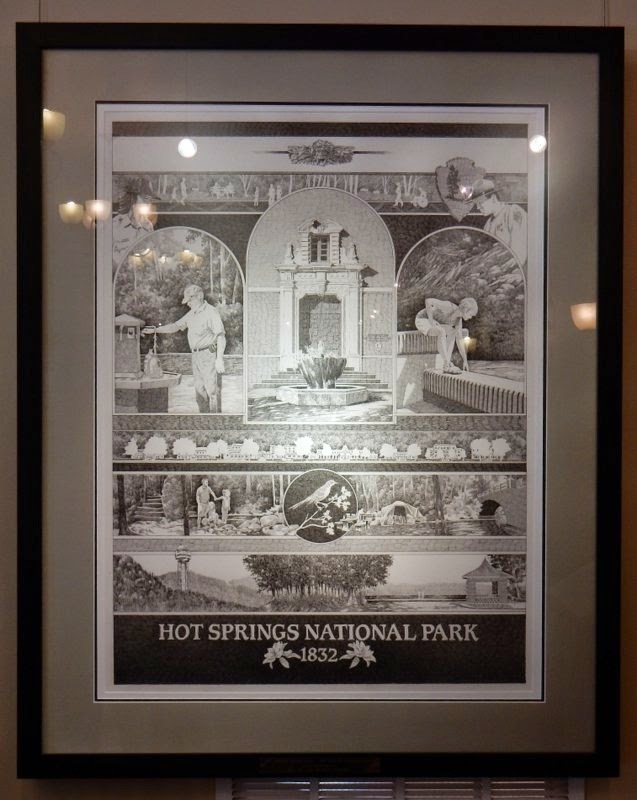 It was then that we learned who she was – the superintendent of Hot Springs National Park. What a coincidence. We learned so much about the facility and program from her, and she was so appreciative of our comments. On our way back to the RV we walked along the Grand Promenade, which is a beautiful walkway above Bathhouse Row. We had a wonderful day at Hot Springs National Park and left with special memories of our unique experiences there. There is much more to the park than Bathhouse Row, including the adjacent mountains, hiking trails and wildlife, but those will have to wait for another visit. It was delightful! I think you'd enjoy it.